12 volt, 2 batteries charged by: engine, wind generator, solar panels, shore power Watermaker Katadyn PUR 40E (needs servicing). 200Ah AGM main battery (2015), separate engine battery. Additional double and single berth in saloon. A rare find in Asia, a Westerly Fulmar, especially one that has been sailed out here, but what a testament to these great little boats. She is a bilge keeler, so can be dried out for careening, which is great for cruisers on a budget and with only 1.22 m draft is able to get the best spots close to the beach ! 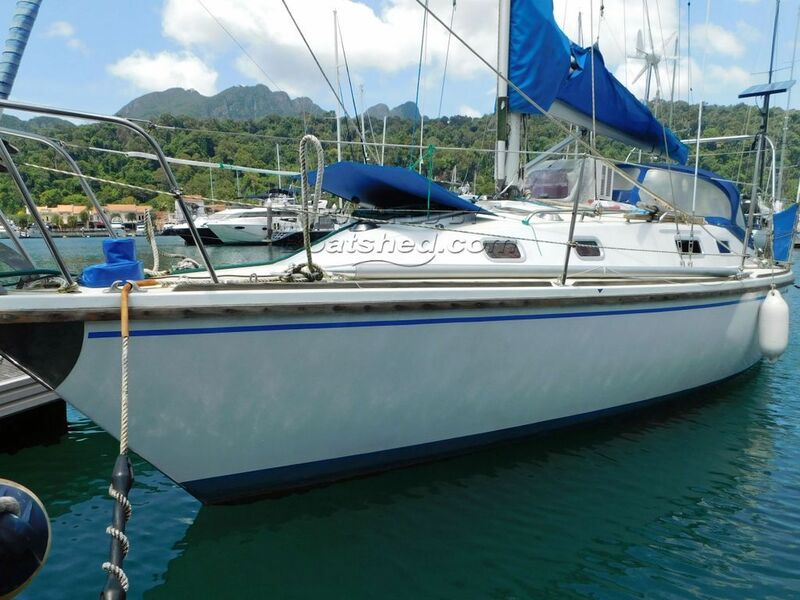 This Westerly Fulmar 32 Sloop has been personally photographed and viewed by Alan Giles of Boatshed Langkawi. Click here for contact details.